Dutch, John, and D'avin are a team of three bounty hunters that travel through the galaxy to catch dangerous criminals while a deadly interplanetary war wages. They attempt to remain neutral through everything, but as more and more time passes, their choices catch up to thrust them into the throes of difficult moral decisions. Relationships become complicated and strained through secrets and disasters. Lives are thrown into imbalance as mysteries unravel. Dutch, John, and D'avin are up against the universe, and only time will tell if they will make it out together. 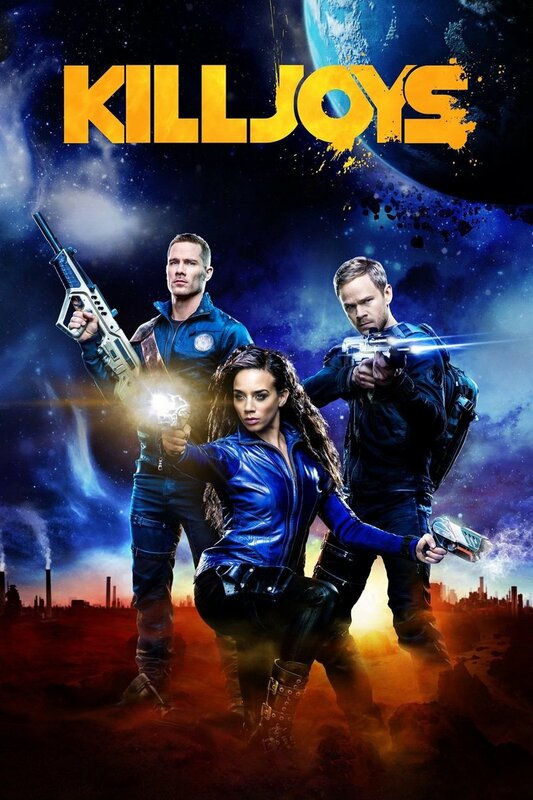 DVDs Release Dates is the best source to find out when does Killjoys come out on DVD and Blu-ray. Dates do change so check back often as the release approaches.